On Friday, the Texas State Board of Education adopted streamlined science standards that preserve language calling for critical analysis of evolution. You wouldn’t know that fact from media coverage of the vote. 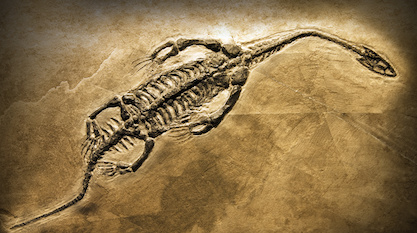 A number of media outlets wrongly reported that the Board had dropped requirements for evolution to be critically examined in the classroom. This vote marked an important achievement for Texans. The Board of Education decided to retain the requirement that students “analyze, evaluate, and critique scientific explanations” in biology study. They also retained the call for critical inquiry on such topics as the origin of DNA — life’s code — the intricacies of the cell, natural selection, and other subjects relating to biodiversity and evolution. This ignites wonder, learning, and the excitement about objective investigation that is a hallmark of outstanding science education. The decision concluded a year-plus long process in which committees of teachers and experts, including a CSC fellow, met and provided feedback on the standards. This language authorizes teachers to present mainstream scientific evidence both for and against evolutionary theory. Standard 3A is a general process standard instructing students to analyze and evaluate as they learn biology. 4A makes sure that students compare and contrast explanations for cellular complexity. 6A preserves the requirement that students examine scientific explanations for the origin of life. 7B asks students and teachers to examine the concepts of abrupt appearance and stasis. And four other evolution standards instruct students to analyze and evaluate concepts, including natural selection. In reaching its decision, the Board heard from concerned Texas parents, professionals, scholars, and scientists. CSC Senior Fellow and Senior Project Manager Jonathan Witt, based in Discovery Institute’s Dallas office, testified several times. CSC Fellow Walter Bradley also traveled to Austin to testify at Board meetings in the fall and this past week. And biologist and CSC Fellow Raymond Bohlin served on the biology science standards streamlining committee. Photo: Ranger statue, Texas State Capitol, by Daniel Mayer (Own work) [GFDL, CC-BY-SA-3.0 or CC BY-SA 2.5-2.0-1.0], via Wikimedia Commons.